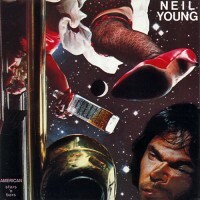 On this album, Neil stirred up songs that were really intended for other projects and put them on a single platter, making this a looser album made in a pinch. When it was first released that was probably the main gripe of critics, lack of consistency. So, steel guitar and country twang take up a bit of the first side (The Old Country Waltz, Hold Back Your Tears), with spots of heartland rock breaking through (Saddle Up The Palomino, Bite The Bullet). Side two has more of the same; zig zags of country and rock songs, especially the guitar showcase of “Like A Hurricane,” probably his most impressive longplayer after “Cortez The Killer.” Maybe even better. Another great standout on this side is the affecting “Will To Love,” which could put a tear in your beer.